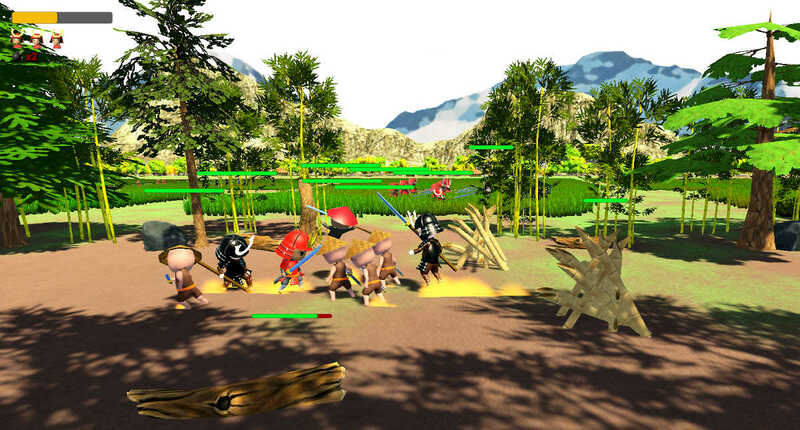 Golden Katana is a side-scrolling beat-em-up. 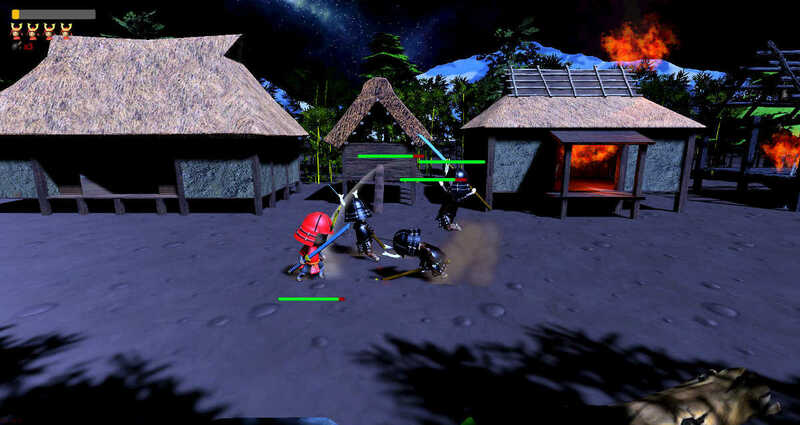 Hack, slash, and smash your way to victory in this arcade adventure. 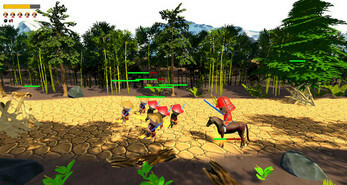 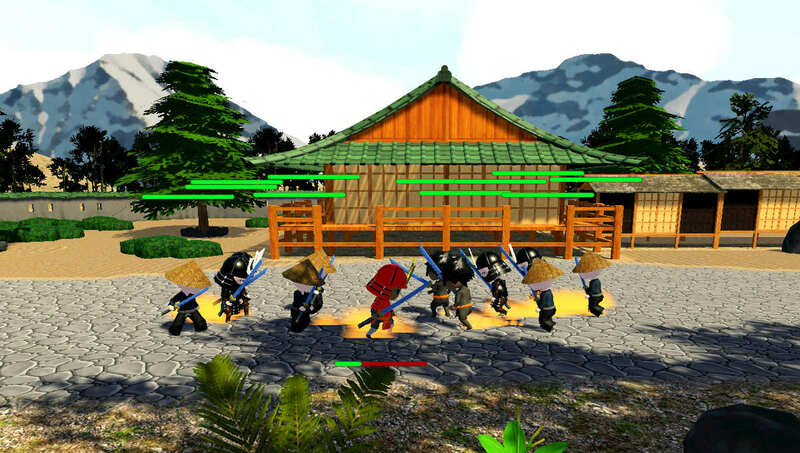 Player takes a role of the Samurai who has to save his Clan, Lord and beloved Princess. 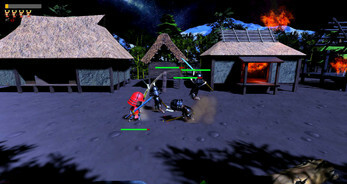 After completing a stage, the player has the choice to revisit it or to move to next stage. 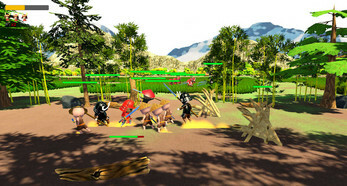 Golden Katana is set in a fictional medieval Japanese universe. 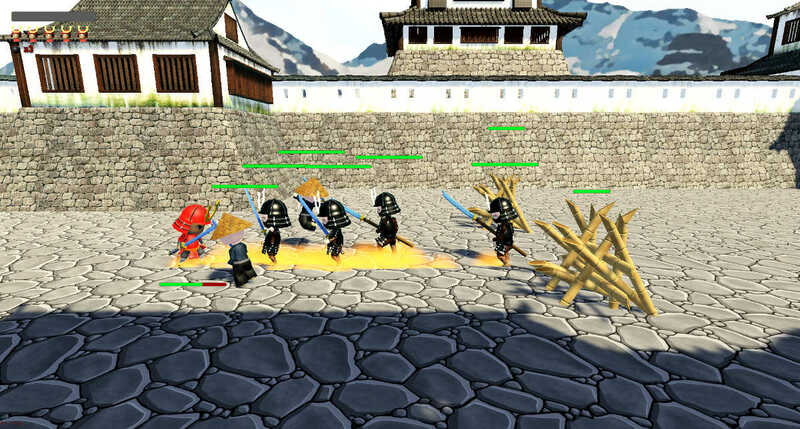 When main character is on mission Clan was attacked by enemies. Lord and princess were captured. 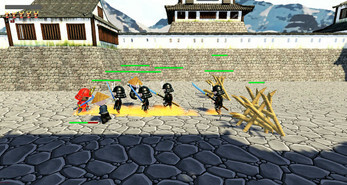 Samurai must return to Castle gather remaining foces and fight the enemy Clan until final victory.